European Go Congress 2017: The 2017 European Go Congress has been moved from Turkey to Sochi, Russia (Sochi). More details here. Australian Go Congress: The Australian Go Association, Sydney Go Club and Sydney University Go Club have announced that the 2017 Australian Go Congress – the third such Congress — will be held at Sydney University between September 28th and October 1st 2017. Further details will be released in the coming year. Canadian Open 2017: After two years in eastern Canada, the Canadian Open is tentatively scheduled for Vancouver on the July 1st to 3rd weekend. Once the venue is confirmed the Canadian Go Association will post more details. 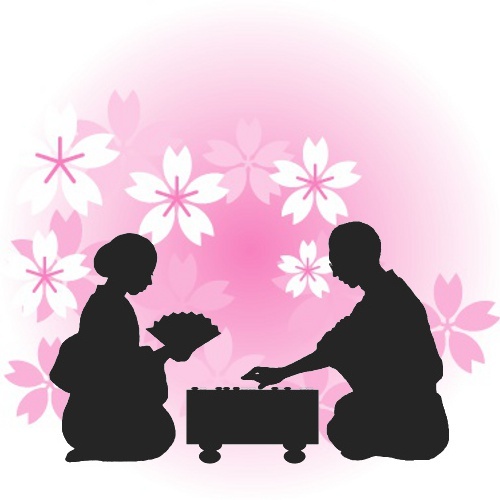 Osaka Go Camp/Japan Go Congress: The Kansai Kiin will host the 5th annual Osaka Go Camp June 25th to July 13th, 2017. The second Japan Go Congress will be held from July 14th to 17th. Registration is now open; click here for details on both. This year more than 80 participated in the camp and 300 attended the congress. US Go Congress: And while we’re at it, just a reminder that the US Go Congress will be held August 5-8 in San Diego, California. 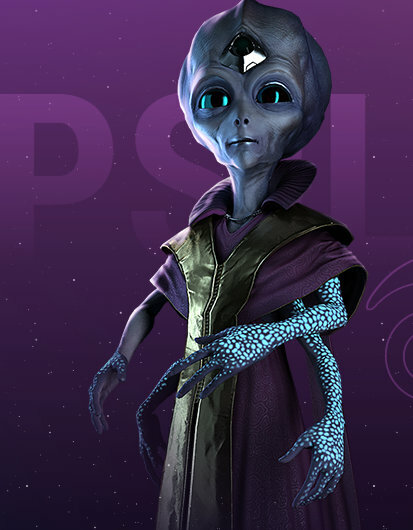 Read the latest news here. The third edition of the European Youth Go Team Championships (EYGTC) has begun. It’s once again taking place on KGS. The competing teams represent either individual nations, or a group of nations. For each match, the teams must field five players, one from the Under-20 age range, two from the Under-16 age range, and two from the Under-12 age range. The full details can be found here. 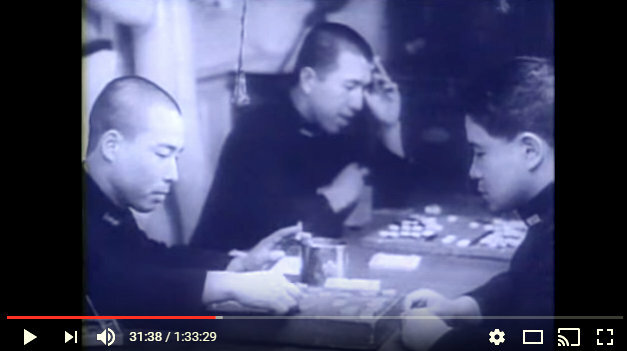 Japanese naval personnel may be seen playing both go and shogi at 31:38 in “Pearl Harbor: Tora, Tora, Tora: True Story of Pearl Harbor,” the History Channel documentary from 2000. When Biblioteca de México La Ciudadela, one of the most iconic public libraries in México City, celebrated its 70th anniversary on November 26, go was part of the festivities. 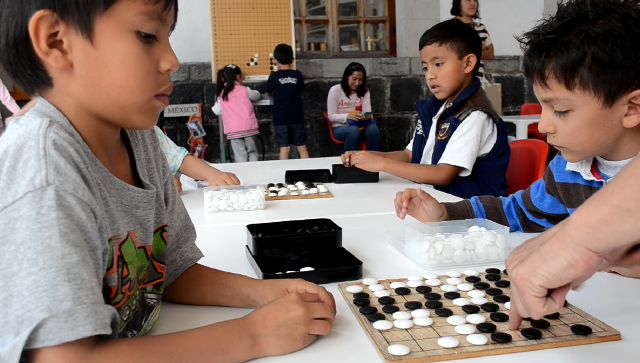 In addition to a go exhibition where the public could get a glimpse of what the game is about — watch a video here – there was a children’s tournament on December 4th, where 28 kids from 4 to 12 years old played on 9×9 boards in a four round tournament. 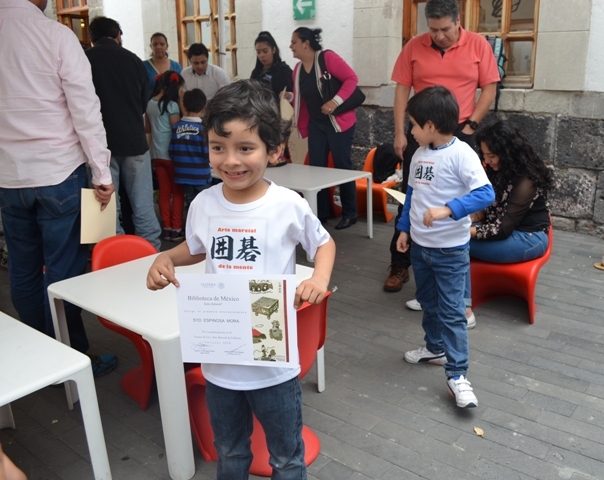 A special thanks goes to Karla Consuegra, Subdirector of Information Services at Biblioteca de México, who has played a great role in supporting implementing go activities at the public library. 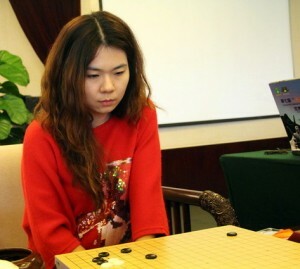 Stephanie Yin 1p (right) represented North America in the recent BingSheng Cup World Women’s Go Championship. Oh Yujin 3p from Korea took first place. The 7th (QiongLong Mountain) BingSheng Cup World Women’s Go Championship was held in Suzhou, JiangSu province in China from November 11-17. The BingSheng Cup is a single elimination tournament of 16 players. After the first tournament in 2009, it has become one of the most prestigious women’s tournaments. In the opening ceremony, draws were made between the 16 participants, followed by special performances and a luxurious dinner. A very strong field this year attracted passionate local players to spectate throughout the tournament. 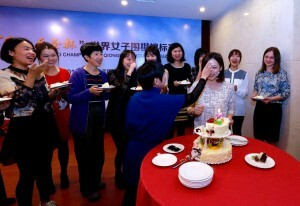 At the closing ceremony (left), players celebrated the birthdays for Hua, Xueming (female 7dan pro, the leader of Chinese national team) and Hsieh, Yimin 6dan Japanese pro. Top European players on AlphaGo and the future of go: “I was in shock,” says Thomas Debarre 6d of France. “I felt a bit disappointed with the quality in the sense that not one game was countable at the end,” said Merlijn Kuin 6d of The Netherlands. “The 21st century is and will be ‘the age of go,” says Mateusz Surma 1p of Poland. 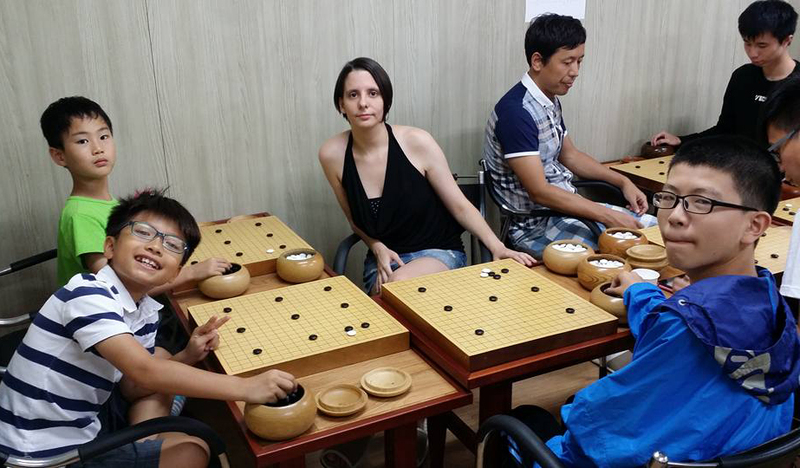 “The future of go isn’t easy, but not because of AlphaGo,” says Diána Kőszegi 1p of Hungary (photo). Kim Ouweleen interviews with top European players on AlphaGo and the future of go are available on the European Go Federation’s website. 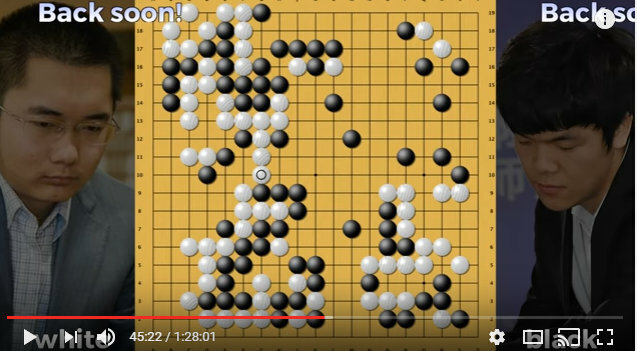 BGA Go Crossword: “I see from your recent item, Catching Up: Obama on go, AlphaGo helps predict the future, and more, that Roy Laird is a crossword fan,” writes British Go Journal Editor Bob Scantlebury. “Others with a love of crosswords as well as go may like to check if their British Go Association (BGA) membership is up to date if they have one (or sign up , if not), as the upcoming Winter edition of the quarterly British Go Journal (BGJ) will feature a bumper, go-themed 19×19 competition cryptic crossword.” But be warned, Scantlebury says, “this is a British-style cryptic crossword, as featured in UK broadsheet dailies — and with a difference.” The BGJ is free to BGA members; the Winter edition will be out in early January and sent out in hard copy, as well as being available in pdf online to those who are members. 13k and Tonya Perez-Lopez 20k. 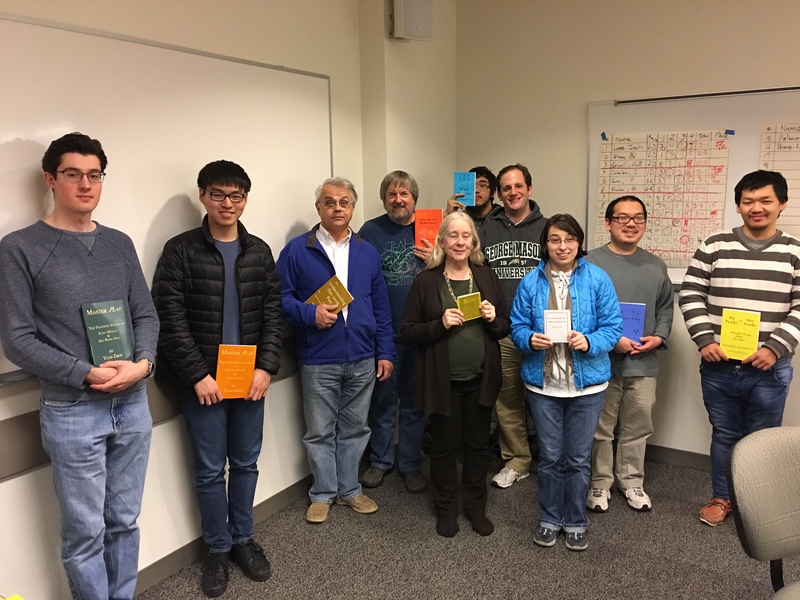 Prize winners are shown here with books donated by Slate & Shell. - report/photo by Gurujeet Khalsa, tournament director. 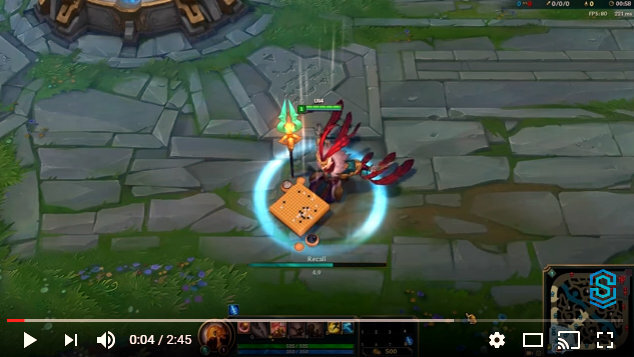 “The champion Azir appropriately pays homage to go; according to League of Legends lore, Azir was the Emperor reawakened after millennia lying dormant beneath the desert that overtook the once-powerful Shurima Empire.” Click here for more info on Azir. Chen Yaoye 9p has bested Ke Jie 9p to win the 2016 Bailing Cup 3-1, locking up the title in a hard-fought Game 4 on December 15. Click here for Stephanie Yin 1p’s game commentary on the AGA’s YouTube channel.